Ours holy and prosperous free online dussehra greeting cards are part of the scintillating greeting eCards which we have started presenting to our myriads of Indian and global site visitors and clients to make their festivals, happy events, and personal and social gatherings optimally delightful and joyous. 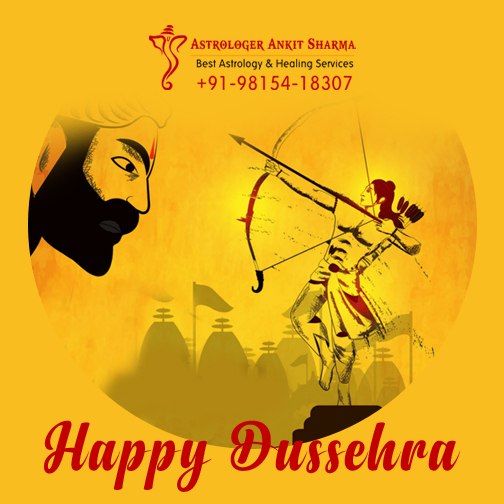 Our prestigious service firm is at present one of the globally reputed and leading firms in India and the whole world, in the fields of astrology, vashikaran, vastu, natural healing, etc. 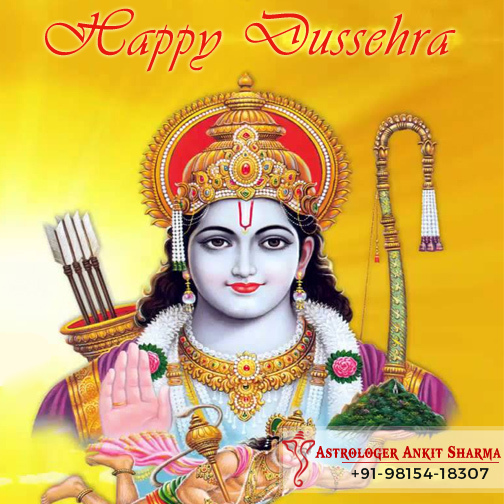 These free online Dussehra e-Cards are certainly an excellent means to wish friends, relatives, and other people of familial, occupational, or social contacts, a very Happy Dussehra , to add zing to their pleasure. 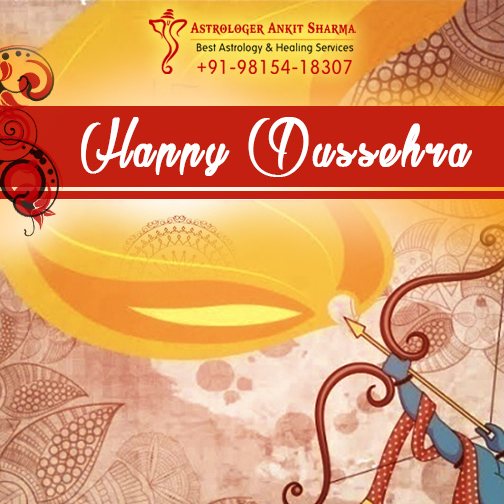 Here, it may be just mentioned that Dussehra is one of the biggest Hindu festivals of India, which propagates the great message that virtues and rectitude win eventually.
" 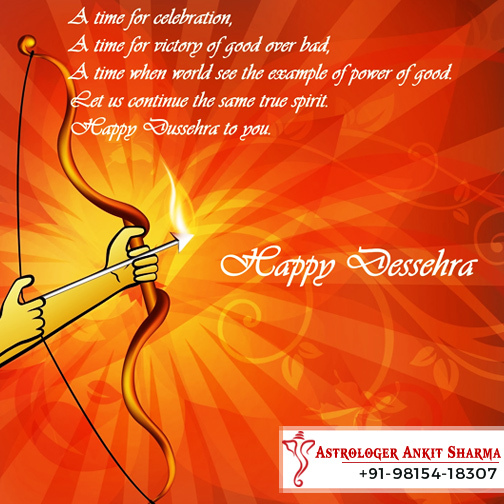 A Very Auspicious and Delightful Dussehra ! "